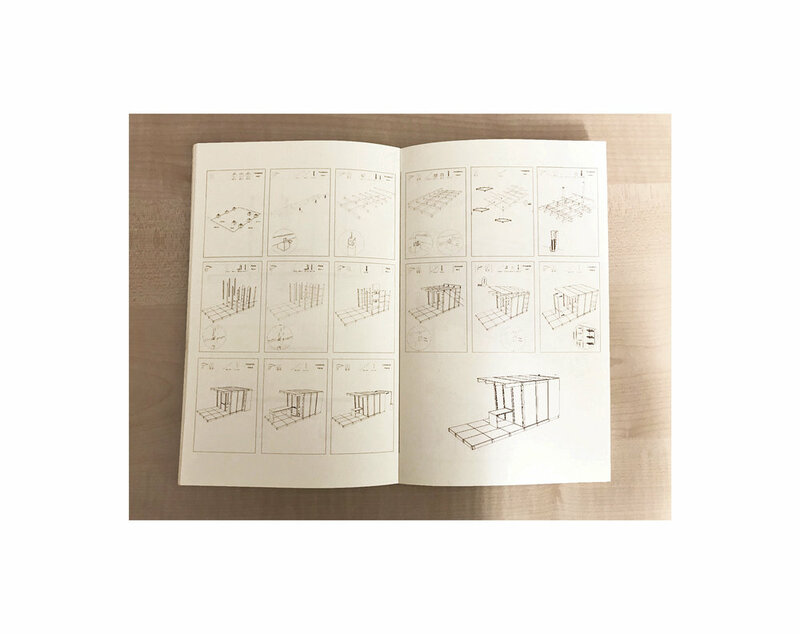 This project is a domestic sheld that users build and assemble by themselves. It has been designed in order to be utilised the whole year round, indeed, the cabin encompasses indoor and outdoor spacial functions. The Toolbox : the rear compartment is created much like a giant pinewood toolbox, it can easily hold all the necessary tools and material for DIY. The Workshop : the middle part can be use as a DIY work space, an office or a library . Made out of a pinewood frame structure including plexiglass walls and roofs, it provides a brighten environment for any type of leisure. The Terrace : the front section is a partly covered summer terrace which can be used as an outdoor picnic area, a summer office or an outdoor workshop. The three parts are linked my a movable pinewood table that can be rolled out or rolled in, creating a range of possible outdoor / indoors activities. The floor panels are designed on a special grid with grooves ( gap joint ) allowing the table to be fixed and set in place easily. A slanting roof catches rain water in a container hidden at the back of the shed; it can be reused to water the garden.